The Great Pyramids at Giza are undobtedly the icon most associated with the Egypt. They have been both the main destination for tourists, and a source of imaginative thought to the world for over three thousand years. 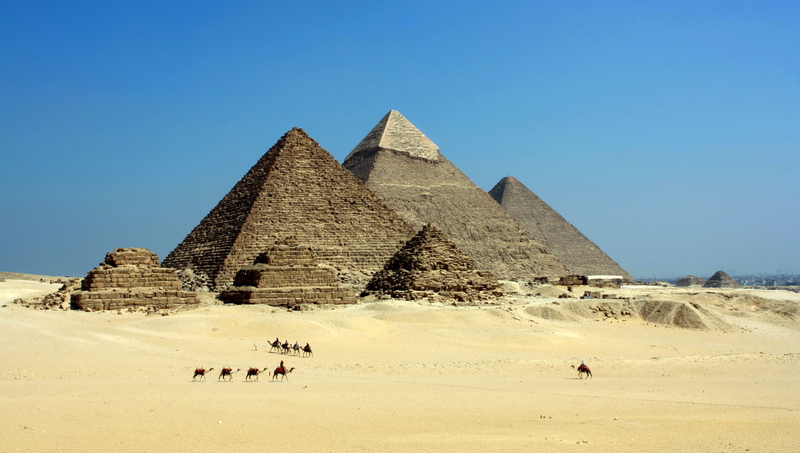 We have outlined 10 facts about Egyptian pyramids. 1. There are actually over 100 pyramids in Egypt, many of which are relatively unknown to anyone who is not an ancient Egypt enthusiast. All but a very few are grouped around and near the City of Cairo, just south of the Nile Delta. 2. Only one royal pyramid is known in southern Egypt (at Abydos), that being the one built by Ahmose, founder of the 18th Dynasty and Egypt's New Kingdom. It may have also been the last royal pyramid built in Egypt. 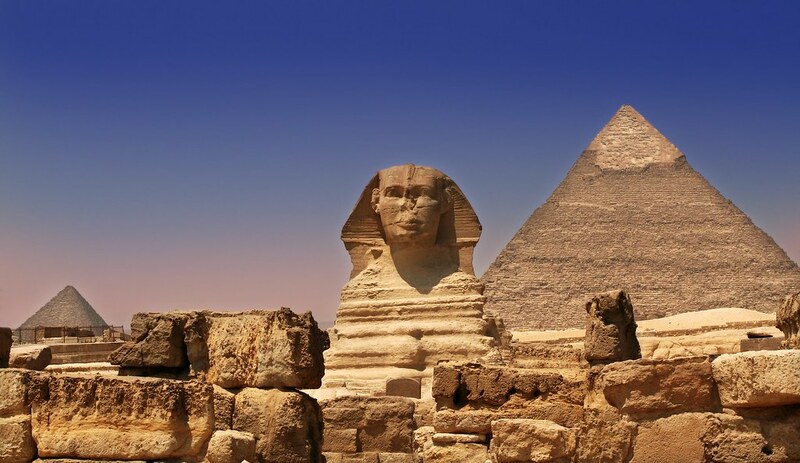 Hence, major pyramids were not built throughout Egypt's ancient history. 3. 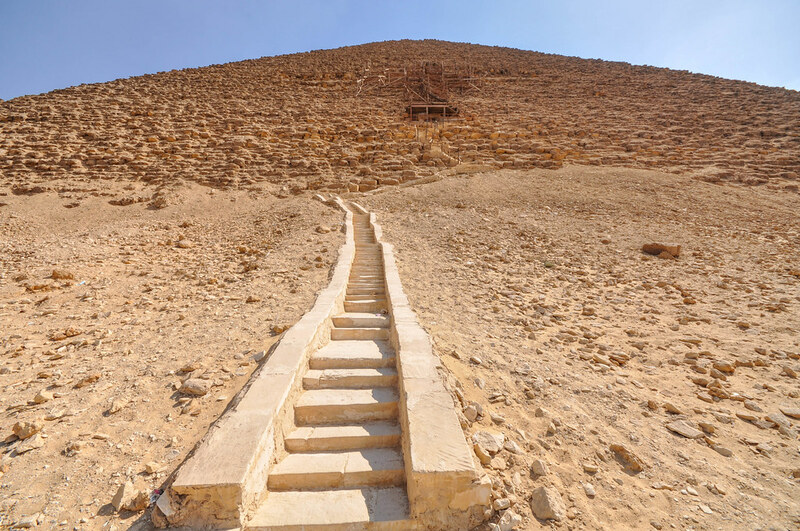 The Pyramid Age began with a burst of building, starting with the 3rd Dynasty reign of Djoser. Some of the early kings, most specifically Snefru, built more than one pyramid. Almost all of the kings added to their number through the end of the Middle Kingdom, with the possible exception of the First Intermediate Period between the Old and Middle Kingdoms. After the first Pharaoh of Egypt's New Kingdom, Ahmose, royal pyramid building by Egyptians ceased entirely. Somewhat abruptly the kings of the New Kingdom chose, rather than making their tombs completely obvious, to hide them in the hills of the West Bank of Thebes (modern Luxor). 4. Smaller pyramids were constructed, for example in the Deir el-Medina necropolis, by private individuals. The Late Period Nubians who ruled Egypt also built relatively small pyramids with much steeper sides, though these were in fact constructed in Nubia itself. This tradition was carried on in Nubia after these southern rulers lost control of Egypt, and eventually, more pyramids were actually built in Nubia than Egypt, though on a much smaller scale. 5. Other pyramids in the world certainly exist, but their purpose, for the most part, was different than those of ancient Egypt. The most famous outside Egypt are probably those located in Mexico and to the south of Mexico, but these appear to have been built more as temples. 6. In Egypt, all but a select few of the pyramids were built as tombs, sometimes to hold the physical body of a pharaoh (as well as other individuals), or to hold the soul of the deceased (as in the case of the small cult pyramids built next to the larger ones). Otherwise, the purpose of only a few small, regional stepped pyramids remains elusive. 7. While pyramids were, for the most part, tombs for the Pharaohs of Egypt, one must nevertheless question the reason that Egyptian rulers chose this particular shape, and for that matter, why they built them so large. Today, we believe that they chose the shape in order to mimic the Benben, a pyramid shaped stone found in the earliest of temples, which itself is thought to symbolize the primeval mound from which the Egyptians believed life emerged. This also connected the pyramid to Re, the Sun God, as it was he, according to some of the ancient Egypt mythology, who rose from the primeval mound to create life. 8. 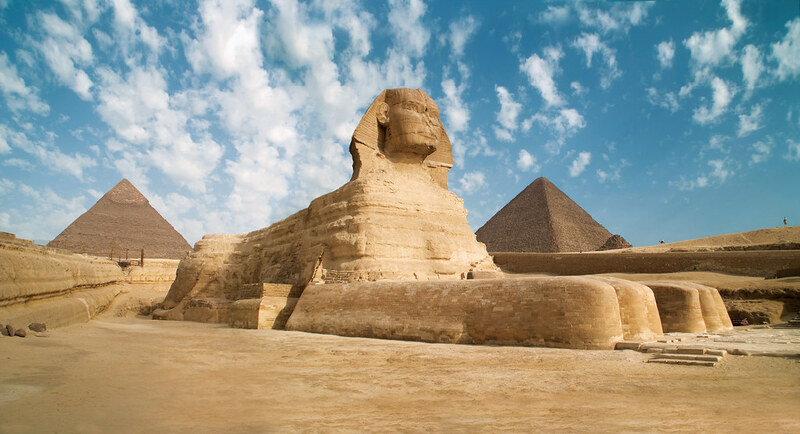 As far the great size of many of the pyramids in Egypt, we can really only surmise that the Pharaohs were making a statement about their own power and perhaps, about the glory and strength of their country. However, it should also be remembered that many of the latter pyramids were not nearly as large as the Great Pyramids at Giza (and elsewhere). 9. Pyramids evolved. The first of them was not a perfectly formed pyramid. In fact, the first Pyramid we believe that was built in Egypt, that of Djoser, was not a true pyramid at all with smooth sides and a point at the top. Rather, its sides were stepped, and the top of the pyramid truncated with a flat surface (as best we know). As the Egyptian pyramids evolved, there were failures as well glorious failures until finally, they got it right with what was probably the first smooth sided true pyramid built at Meidum. In fact, pyramids continued to evolve throughout their history, perhaps not always in outward appearances, but in the way that they were built and in the theology surrounding their construction. For example, towards the latter part of Egypt's Pyramid Age, Osirian beliefs seem to have had more and more impact on the arrangement and layout of the subterranean chambers. 10. 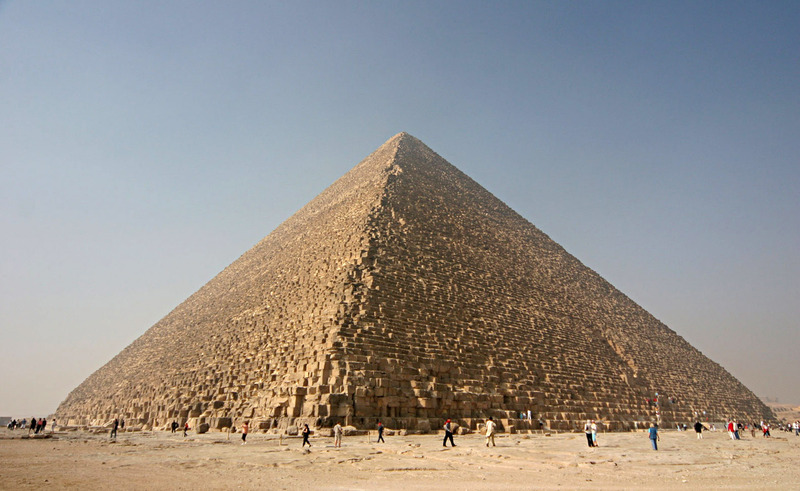 Soon after the first pyramids were built, their form became somewhat standardized. Royal pyramid complexes included the main pyramid, a courtyard surrounding the main pyramid, a much smaller cult pyramid for the king's soul, a mortuary temple situated next to the main pyramid, an enclosure wall and a causeway that led down to a valley temple. Some pyramid complexes included subsidiary, smaller pyramids for family members, and most were surrounded by some sort of tombs for family members.